Sausage is a versatile meat that you can eat alone or cooked into a wide variety of dishes. It’s great for any meal of the day and compliments the meal that you’re making. You won’t find a finer, fresher inventory of sausages anywhere in Calgary, we guarantee it. Whether you need gluten free sausages, fresh daily sausages, or a never ending array of meats, stop by and check out our huge selection of fresh meats. 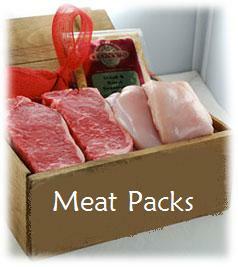 Save money when you come to Calgary Meats and get exactly what you’re looking for. When you’re looking for unique sausages, give us a call. We hand make a wide variety of sausages to ensure that you’ll be getting what you’re looking for.